Jafar Panahi, the Iranian filmmaker, was freed on bail of $200,000 from Tehran's Evin prison on 25 May - Panahi, 49, was released one week after he had begun a hunger strike that made the headlines at the Cannes film festival, where the director was set to be on the jury. Upon receiving her award for Best Actress, Juliette Binoche used her speech to denounce Iran's imprisonment of the filmmaker. 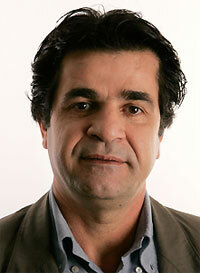 Panahi was arrested in March at his Tehran home with his wife and daughter, who were later freed. The Board of the the European Film Academy (EFA) strongly protested against his arrest, and has welcomed the decision to release him on bail.